This literacy software makes the web, documents and files more accessible. It's great for people with dyslexia and other learning difficulties, or anyone whose first language isn't English. 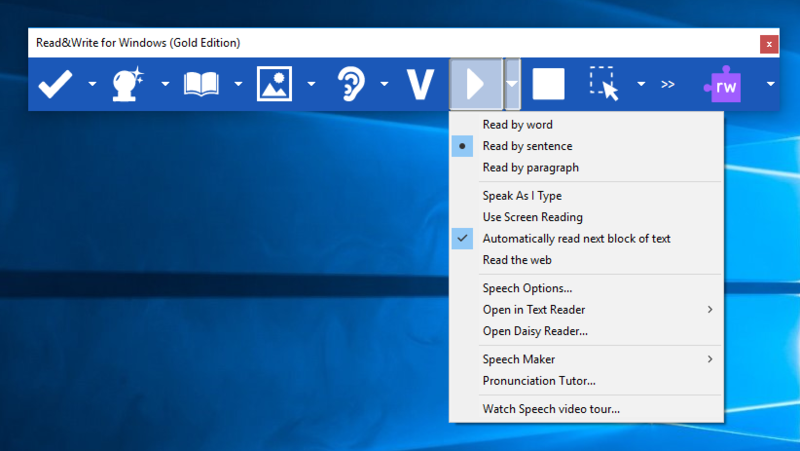 From reading on-screen text aloud to researching and checking written work, this software makes lots of everyday tasks easier. It’s a big confidence booster for anyone who needs a little extra help with their reading and writing. You can also access Read&Write's training guides.